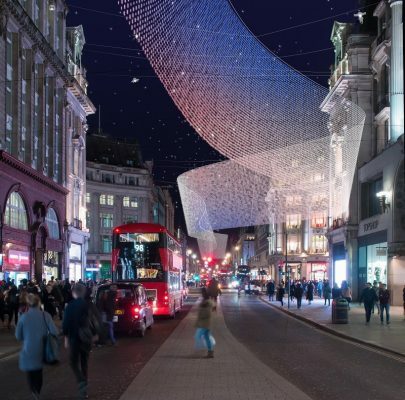 3DReid one of four designs shortlisted in the architectural competition for the redesign of Oxford Street’s word-famous Christmas lights. 3DReid has completed a £2.7m refurbishment of a former student residence to create a three star, 45 room hotel for Edinburgh First, the commercial arm of the University of Edinburgh. Working within the confines of the existing student room structure, KM Central offers a quirky ‘left bank’ style interior concept with 3DReid’s design making use of all the available space to create comfortable and well equipped bedrooms and a breakfast room that doubles as a post graduate student common room. 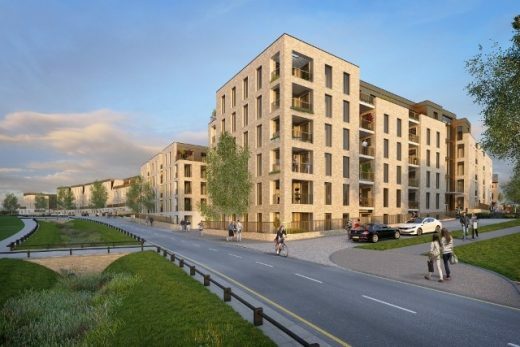 3DReid have re-imagined the Millbrook Park master plan phase 5 designs which overlook the newly created Panoramic Park and Officers’ Mess Gardens, with 111, 1 and 2 bed apartments and 33 townhouses for Joseph Homes. The scheme gained reserved matters approval from the London Borough of Barnet Planning Committee on 19th September 2017. 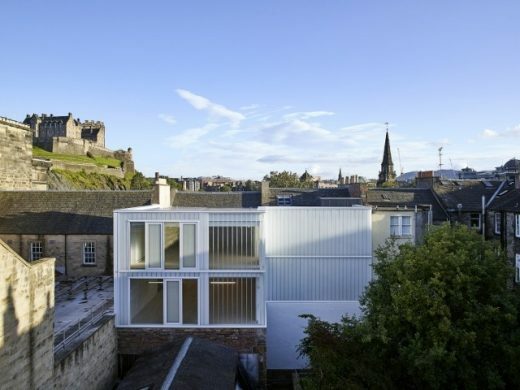 Architecture practice 3DReid has completed a sensitive £2.0 million conversion of three of the few remaining original Princes Street townhouses to office use. 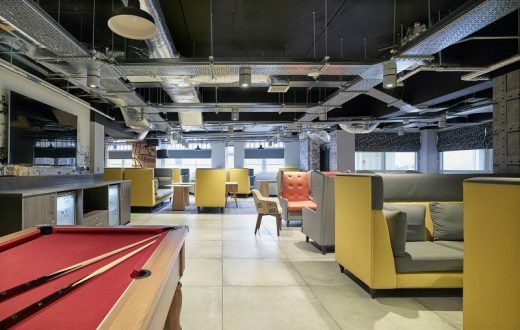 By converting the vacant upper storeys of the B-listed buildings and adding a contemporary extension, 3DReid has created 15,810sqft (Gross Internal Area) of light and practical quality office space for client and developer Hazledene House Limited. Award-winning architecture practice 3DReid has appointed Noel Street as Director to its Birmingham studio to develop strategic business partnerships and build upon the firm’s outstanding reputation for design and delivery excellence. A leading national practice providing full architectural services from five studios throughout the UK, 3DReid Birmingham – led by Mark Anders and David Burrows – has a number of major projects in Birmingham and the West Midlands currently including the extension of Merry Hill shopping centre in Dudley, the redevelopment of the Touchwood Shopping Centre in Solihull and Primark’s new flagship store in Birmingham city centre. A specialist in transforming redundant or poorly performing buildings into distinctive, modern and efficient spaces, 3DReid recently won ‘Refurbishment Architect of the Year’ in the BD Awards 2017. Noel joins 3DReid from Stephen George + Partners where he was a Director based in their Leicester office and prior to this, Noel was Studio Director for AHR Architects in Birmingham. Noel’s experience with architectural and multi-disciplinary companies in both the UK and Hong Kong ensures a wealth of client-relations expertise. 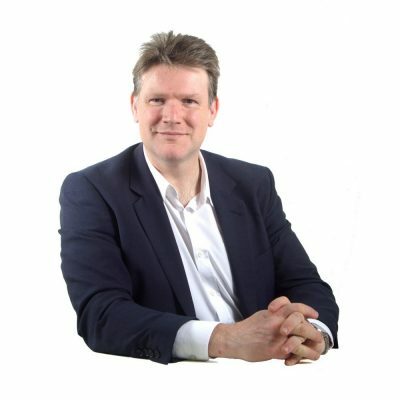 He has successfully controlled and delivered large scale, complex projects and frameworks across the Public and Private Sectors in the UK for office, leisure, education, healthcare, industrial, transport, retail, residential, mixed-use and the MOD. Noel is actively involved in a number of professional organisations and industrial committees including the Construction Industry Council, Greater Birmingham and Solihull Local Enterprise Partnership and the Royal Institute of British Architects on a regional and national level. 3DReid is an award winning architecture practice. Established in 1979, we have over 130 staff across offices in London, Edinburgh, Birmingham, Glasgow and Manchester. The practice provides full architectural services from masterplanning to interior design. Our reputation has been built on providing creative and intelligent architectural solutions that meet their operational brief without compromise. We approach every project with the same ambition, whether it is an office refurbishment or a new airport terminal. We bring value to all of our projects though clear analysis and well executed design. Every one of our buildings must not only work beautifully but also positively affect its users and the wider public. We design with consideration for the environment and our legacy to future generations. The success of our practice relies solely on the quality of the people we employ. Everybody at 3DReid is here because they are exceptionally good at what they do. We encourage all our people to learn, grow and develop with us. We believe that the best buildings and places come from a culture of open discussion and collaboration with our clients, colleagues and fellow consultants. Above all we enjoy the process of making good architecture. For more information about 3DReid, please go to www.3dreid.com. 3DReid has added to its growing portfolio of exclusive VIP terminals with a new facility for global leader in Fixed Base Operations (FBO) Signature Flight Support. A ground breaking ceremony was held at Signature’s London Luton Airport location where it announced that it is commencing construction of a new, 3DReid designed state-of-the-art fixed base operation (FBO) to replace its existing facility. Gibraltar Airport’s uniquely situated new terminal building is modern, dynamic, transparent and airy. The new terminal is the first building visitors will see when they enter Gibraltar by air, road or on foot and is located immediately at the frontier, with the Rock as a backdrop. 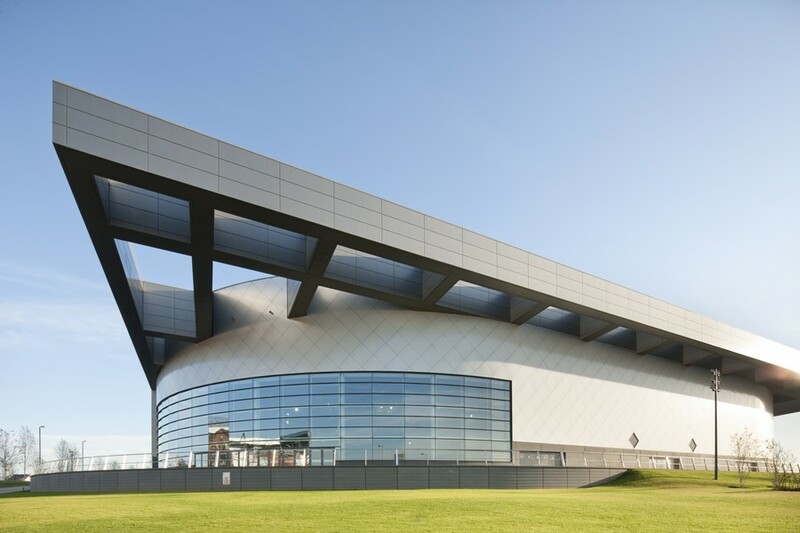 22 Nov 2012 – Designed by 3DReid, the £116 m Emirates Arena and The Sir Chris Hoy Velodrome, is the only major new sports facility for the 2014 Commonwealth Games. The building will have a lasting post-Games legacy as a centre for sporting excellence, a community sports facility, and as a catalyst to major investment and regeneration in the area. Architects 3DReid in collaboration with Blue Forest have revealed the first images and details of their new, innovative and sustainable external learning environment. ‘rotatED’ has been developed as a single modular entity capable of being turned on any of its seven sides to create an outdoor place with infinite possibilities for activities such as play, learning and performance within a sheltered, natural environment. 3DReid has announced the opening of a new operation in Malaysia. The new office, located in the Petronas Towers, Kuala Lumpur, will be managed by Azmall Jamaluddin. Azmall has been promoted from within and will bring a wide cross-section of international expertise with him having worked on major projects in Shanghai, Berlin, Moscow and London. Architects 3DReid working with Fox Linton Associates have completed the refurbishment of the iconic Turnberry hotel which has re-opened as part of the renowned Starwood Luxury Collection brand. The works have been completed on behalf of owners Leisurecorp who have invested close to £40m in the restoration. With a BREEAM ‘excellent’ rating and proposed A-rated performance certificate for its sustainability the scheme has already been hailed as a potential model for UK town centre development. The new practice will operate under the name 3Dreid. 3D and REID have an interconnected history, going back 25 years, with several key 3D personnel having spent portions of their careers at REID. The merger will see 3DReid with a combined workforce in excess of 320 people, with offices in Birmingham, Edinburgh, Falkirk, Glasgow, London and Manchester. An expected turnover in the first year in excess of £20m will rank it amongst the UK’s top 10 practices. Current 3D Architects Director Charles Graham-Marr will be Chairman of the new organisation. April 12, 2018 in Architects.